THIS PROGRAM IS SOLD OUT! THANK YOU FOR YOUR INTEREST AND SUPPORT! 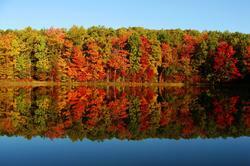 Price: $64/person, HSRC Members; $69/person, non-members. Includes museum admission, tour fees and tips, and box lunch. We'll meet at Washington’s Headquarters State Historic Site for guided tours of the house and grounds starting at 11 am, then board the River Rose paddle wheeler at 12:30-12:45 pm. 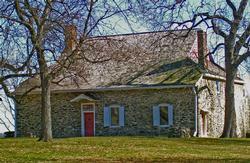 The Hasbrouck House in Newburgh (Washington’s Headquarters State Historic Site)—America’s first publicly owned historic site—served as General George Washington’s headquarters in 1782 and 1783. In the critical Revolutionary War months he spent here, Washington made some of his most important contributions to shaping our republic. We’ll tour the rooms where history was made and enjoy the gorgeous grounds overlooking the river. Then we’ll head to the waterfront to board the River Rose for a narrated luncheon cruise toward West Point and Constitution Island and an afternoon of Hudson River leaf peeping! 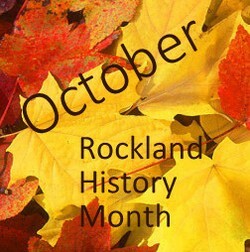 Reservations can also be made using a credit card by calling the Historical Society of Rockland County at (845) 634-9629. On-site parking is available at Washington’s Headquarters, 84 Liberty Street, and at the River Rose dock, 70 Front Street, Newburgh. Interested in a private carpool arrangement? We may be able to help. Call the Museum Office at (845) 634-9629. Cancellation policy: Refunds for cancellations will be given only if the space can be filled by another guest prior to trip. A waiting list will be compiled, and available spaces will be filled on a first come, first served basis. Only those who have made full payment can be accommodated.